Why Knot in Basil Salmon color. 2 sided usage tote bag with ‘Knot’ iconic design. 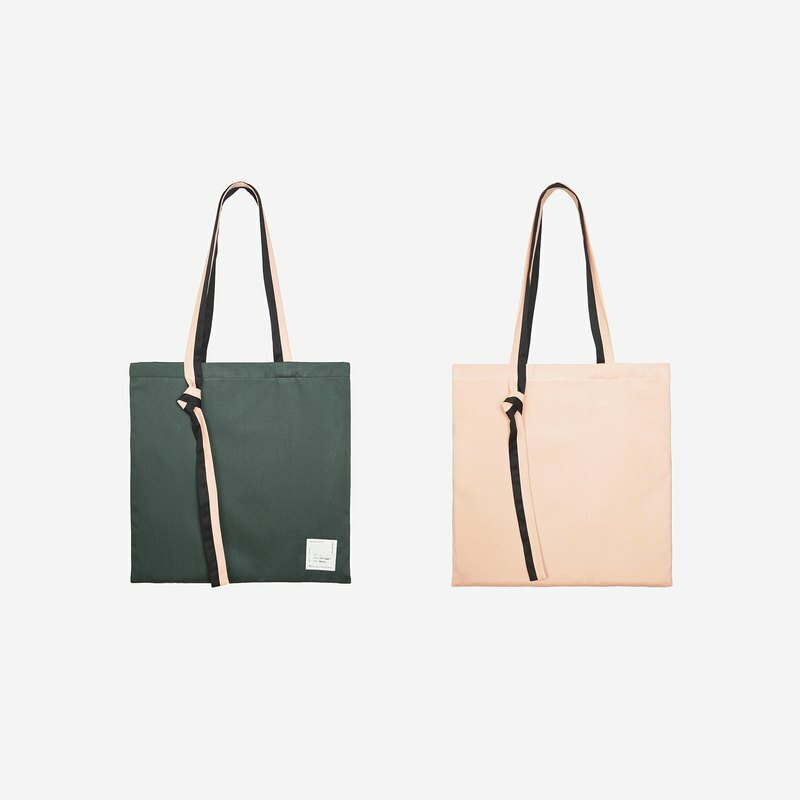 2 sided usage tote bag with ‘Knot’ iconic design. Craftily select the two colors then combine them together. 45% of the fabrics are recycledfrom the deadstock fabric. Material : 45% is made of Deadstock Fabrics Inside Details : 100% cotton lining with a small pocket Craft paper with natural soil ink Tag Size : 40x40 cm Strap Length : 28 cm.